This client has an older home in the heart of the city. The original room sizes were too small to suit his entertaining needs. We completely gutted the old kitchen and dining room in favor of one large spacious kitchen where he can cook and entertain. The different ceiling heights were camouflaged by emphasizing the vaulted ceiling with painted beadboard. 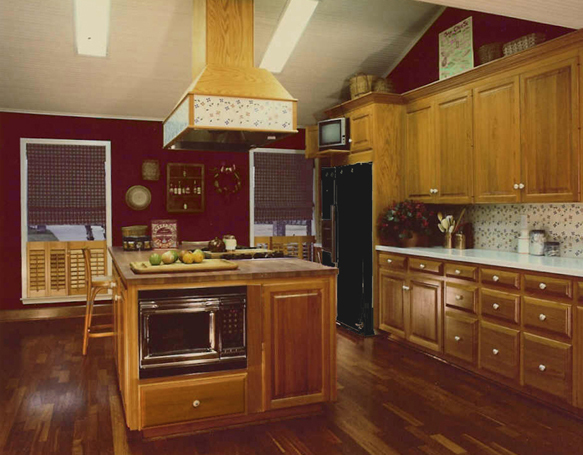 Custom-built cypress cabinets and imported hand-painted tile are the main decorative selections.